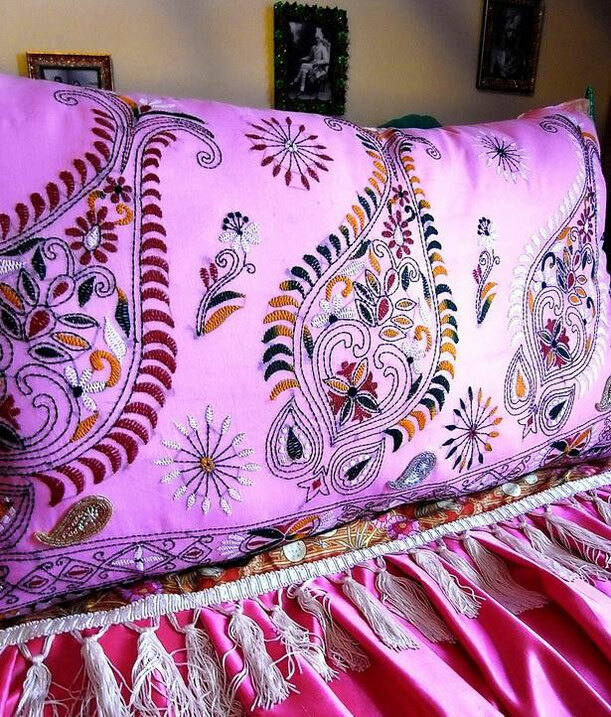 Huge, spectacular cushion-cover, made from handloom, vintage, kantha-sari remnant in musk-pink, with rust, dark-green & mustard, cotton, hand embroidery. Gold border on both sides, & one silver & two gold-beaded paisley appliques along the bottom. Backed with a thick, white linen. Side zip. One available. 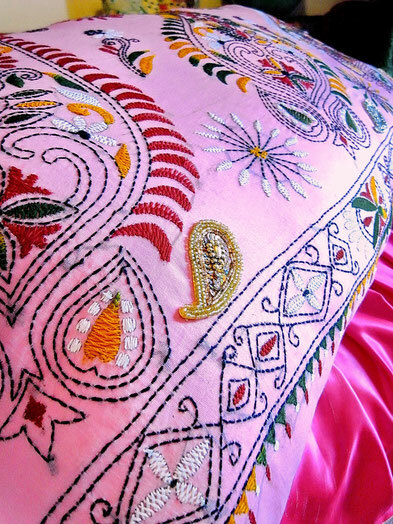 Kantha refers to a hand-embroidery style, once popular, but becoming rare, in Bangladesh & West Bengal. 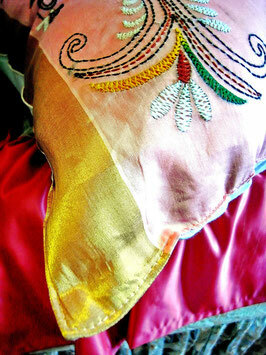 It entails simple, decorative, running (straight) stitches that follow a design, which often depicts a rural scene. Garments are largely handcrafted in these areas. This piece, made from a stunning, tribal-patterned, cotton sari from the 1960s, has a few barely distinguishable marks on it.